On Thursday, pre-eminent leaker Evan Blass shared details on Microsoft’s upcoming Surface Pro 4 refresh. According to Blass, Microsoft will unveil the new two-in-one at its upcoming May 23rd event in Shanghai, China. 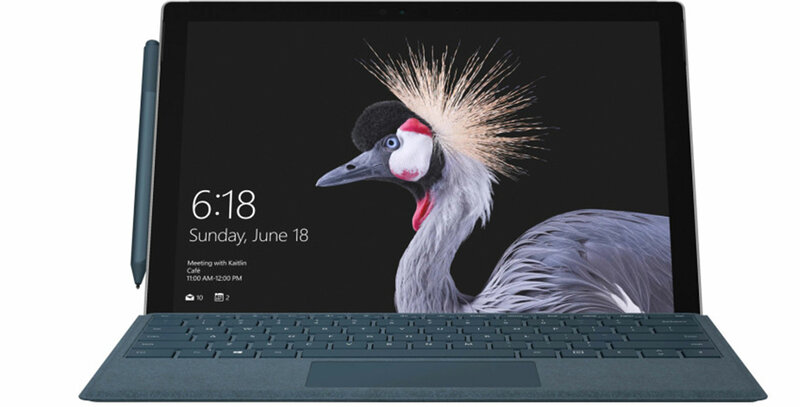 Moreover, Microsoft reportedly plans to drop the ‘4’ from Surface Pro 4 and will instead refer to the device simply as the ‘Surface Pro’ — it looks Surface chief Panos Panay wasn’t kidding when he said “there’s no such thing” as the Surface Pro 5. Aside from new pen and keyboard colours that are similar but not identical to the ones Microsoft introduced with the Surface Laptop, there’s not much to see here. Unfortunately, Blass was either unable or unwilling to share information about the device’s internal specifications. Presumably, however, we’ll see Microsoft update the Surface Pro to add Intel’s latest Kaby Lake processors. He also noted that Microsoft will not announce a new Surface Book device. You’ll also notice that the new Surface Pro doesn’t feature a USB-C port. For better or worse, Microsoft seems intent on not adopting the next-generation port just yet. Visit VentureBeat to see additional photos of the device.